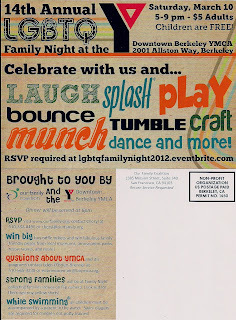 Strong Families Blog: Join Us at the Our Families Coalition LGBTQ Family Night! Join Us at the Our Families Coalition LGBTQ Family Night! Are you an LGBTQ family living in the Bay Area? 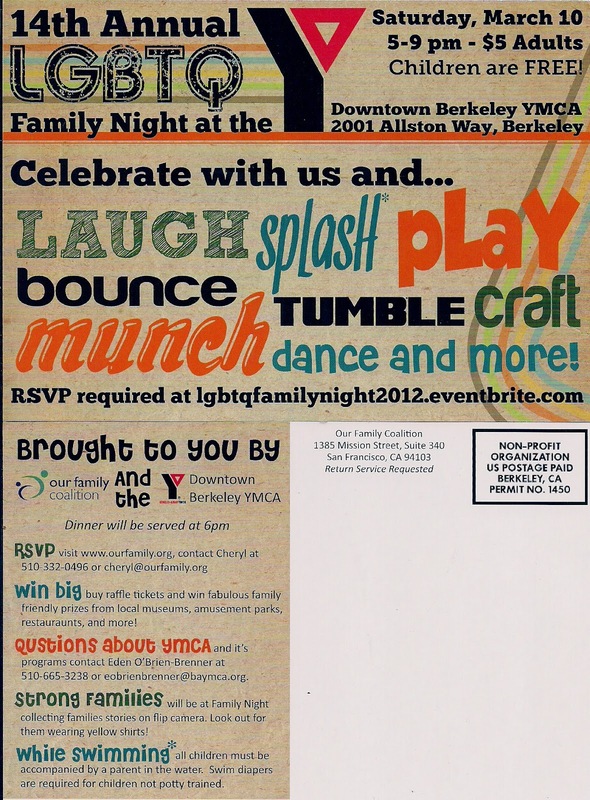 Come join Strong Families, as we attend Our Families Coalition's 14th Annual LGBT Families Night at the YMCA in Berkeley (2001 Allston Way) on March 10th from 5-9pm. Adults are $5 and children are free! Families will be able to laugh, splash, play, tumble and craft during this fun filled evening. Dinner will be served at 6pm and you will have the chance to buy raffle tickets to win family fun prizes. Our Families is a Strong Families member and we will be there collecting stories from LGBTQ families. Look for us in the yellow shirts! We can't wait to see you!